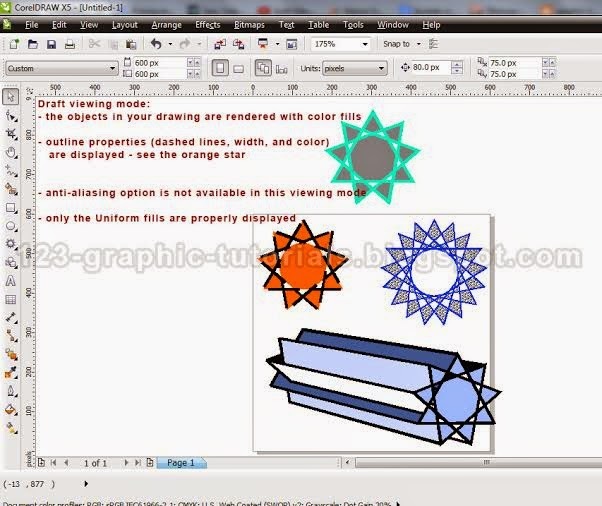 Sometimes, when you are working with huge CorelDraw projects your computer might slow down significantly, even in the Normal viewing mode (which is, anyway, less demanding than the Enhanced mode). 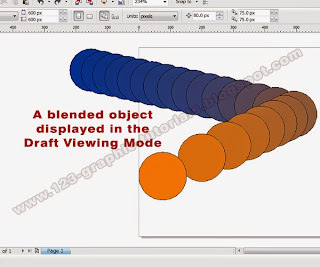 If this happens, you can switch to an even less demanding viewing mode - the Draft viewing mode. 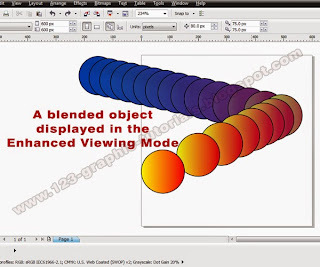 This viewing mode is also recommended when one wants to evaluate basic colour schemes in a vector drawing. - the Pattern Fill, Bitmap Fill, Texture Fill and PostScript Fill are not displayed correctly in this viewing mode (see the images below). The circle in the foreground is filled with a two-colours gradient (from yellow to red), which is properly displayed in the "Enhanced" viewing-mode (see the image above). When the "Draft" viewing mode is used, the gradient fill is replaced with a single-colour fill - namely, orange, because orange is the intermediate colour between yellow and red. 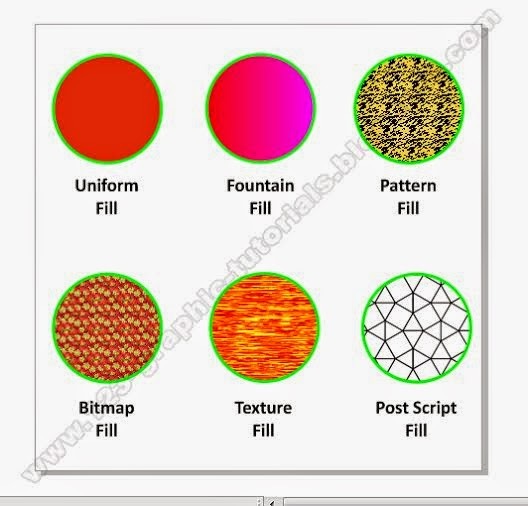 If we compare the two imeges above we can easily observe that only the uniform-fill is properly displayed. 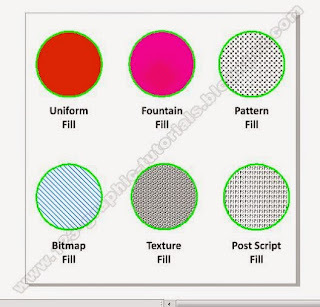 A single colour replace the fountain-fill, a two-headed arrows pattern is displayed instead of the pattern-fill, bitmap-fills are replaced by a hatched-lines pattern, a black-and-white texture is displayed instead of any texture-fill and a pattern of repeated PS is displayed instead of the PostScript fills. Happy Thanksgiving Day to all my readers!